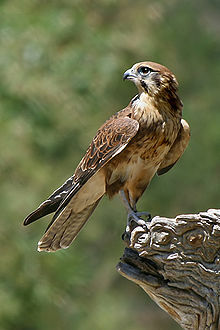 A faucon is a bird o prey in the faimily Falco. The wird falco comes frae the Latin falx ("heuk") acause o the shape o thir birds' weengs. Wikimedia Commons haes media relatit tae Falconidae. This page wis last eeditit on 10 Mairch 2014, at 13:48.